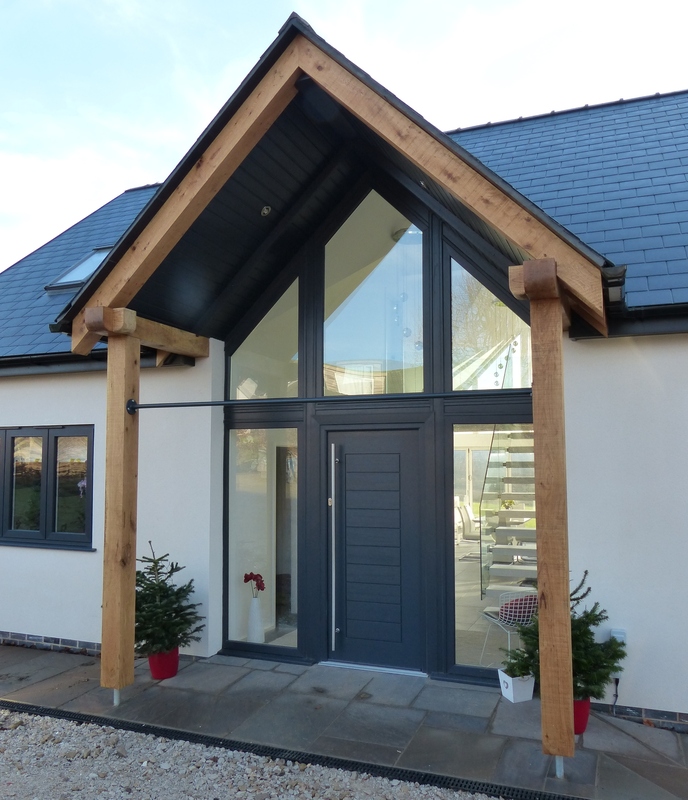 Our client approached bi design to create a bespoke property on the South Derbyshire, East Staffordshire boarder. 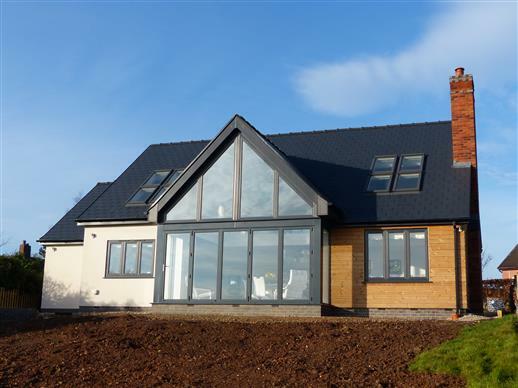 The plot was purchased with outline planning consent for one dwelling. The plot is located at the end of a quiet culdesac facing down the fields towards Burton upon Trent Golf Club. To the left of the plot are two well established bungalows and another new build bungalow. The clients brief was to create a room in the roof bungalow with contemporary spaces that sits well within the established street scene. 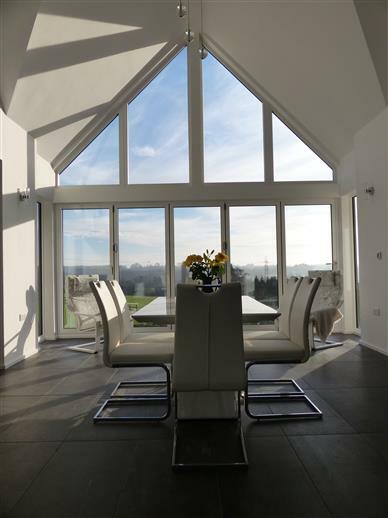 The concept was to maximise the site width whilst orientating the property to take full advantage of the fantastic views across the fields towards the golf club. Three of the four main windows to the front serve bathrooms and the utility to ensure all the main rooms look out to the views at the rear. Central glazed gables were proposed to the front and the back to create a unique vaulted dual aspect space in the core of the house that the main living spaces revolve around. The outcome is a property that now sets the standard for the street. 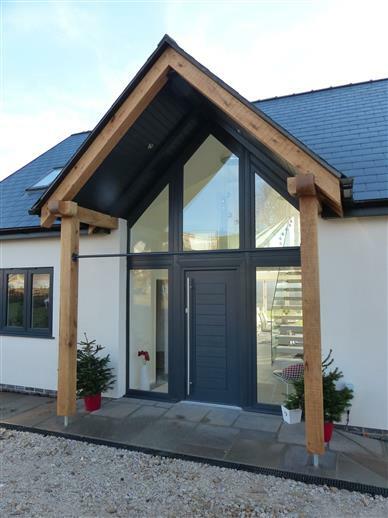 When approaching the property your eye is drawn to the high level gable window and feature open oak porch. 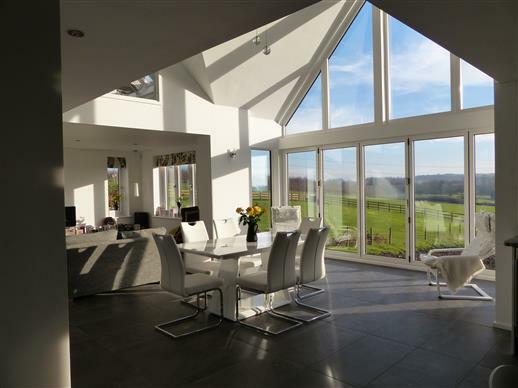 Once in front of the oversized front door you can see straight through to the fields beyond the garden. 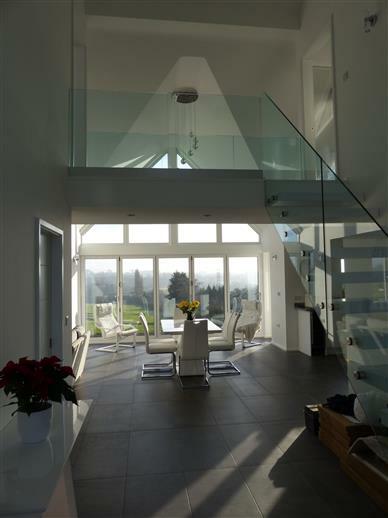 Inside the open treaded stairs and glass balustrade bridge creates a subtle divide between the entrance and main living space. 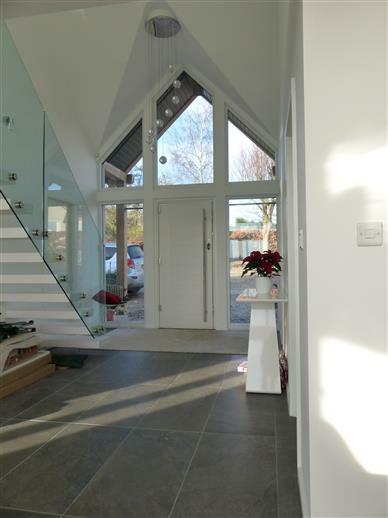 Once under the bridge you are presented by the double height glazed gable which floods the living space with natural light and brings the outside in. 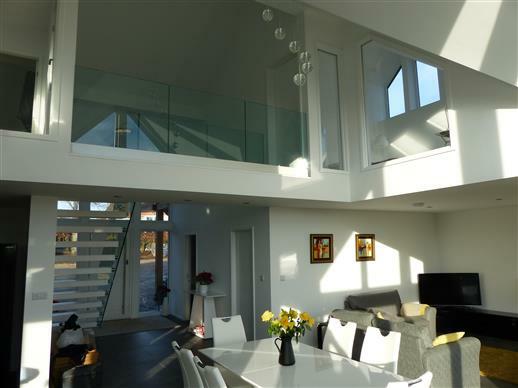 The two first floor bedrooms over look the main living space with internal glazed screens.